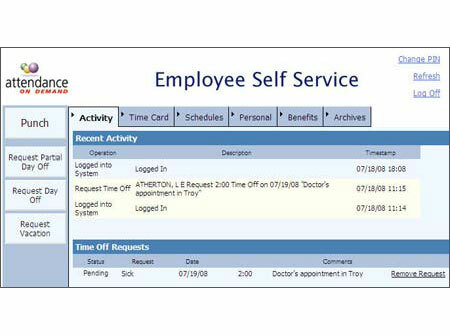 Employee Self Service offers employees convenient access to their attendance information. 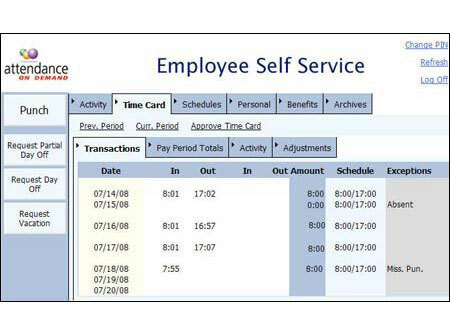 Employees punch, transfer and access their schedule, benefit, and archived time card information themselves. 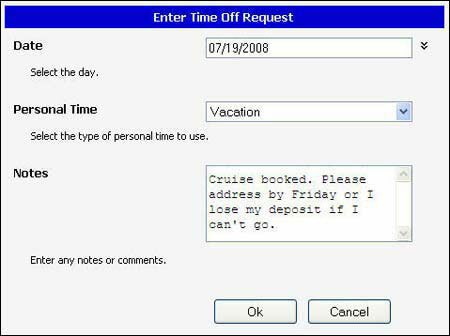 Employees make time off requests. 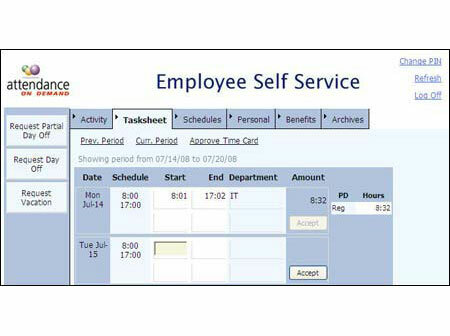 Employees can review time cards, request leave, check schedules, and punch online. mployees work with their time in a familiar way. 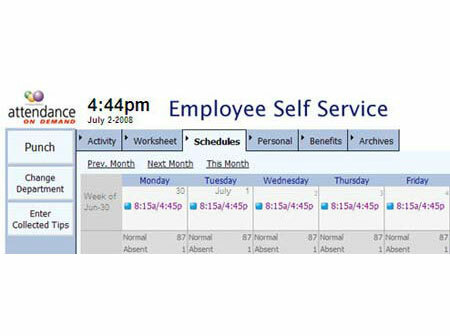 Employees can see coworker coverage information before requesting leave. 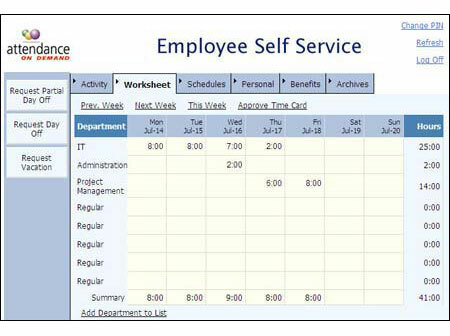 Different employees can have different ESS options. When a leave request is made, an alert is sent directly to the supervisor to begin the review process. Employers and employees have easy access to a clear audit trail.